Looked through all your species cannot find one that matches this one.. Just wondered what kind it was. Thanks! Hi, it is harder to identify spiders from their undersides (ventral) than their backs (dorsal). That might be what you ran into. Your spider is an orbweaver. From her red upper legs (femurs) I can see that she is in genus Neoscona. Neoscona tends to be fuzzy and her fuzziness shows in her outline. From her ventral markings she matches species Neoscona crucifera. 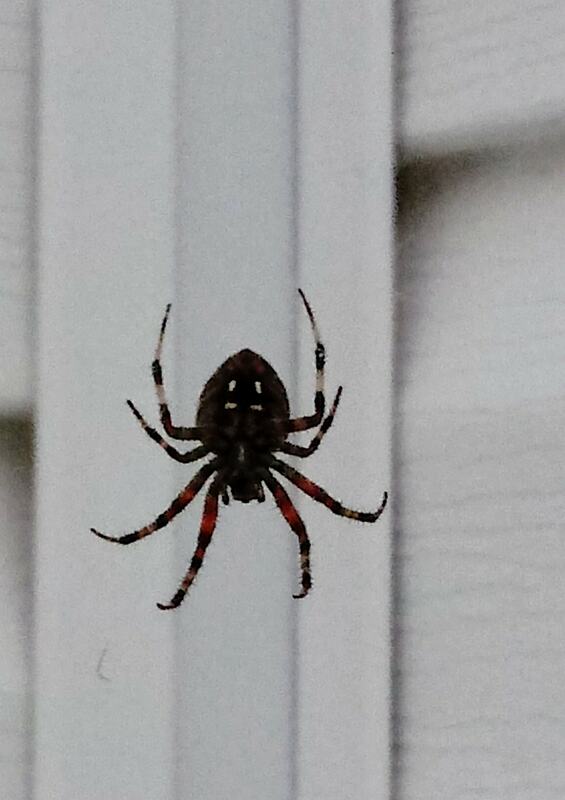 The common name is spotted orbweaver or Hentz orbweaver. Thank you for attemping the ID.